The makers of three popular health-related mobile apps have reached settlements with the New York attorney general's office over allegations that they could have harmed consumers by giving them wrong or misleading results. 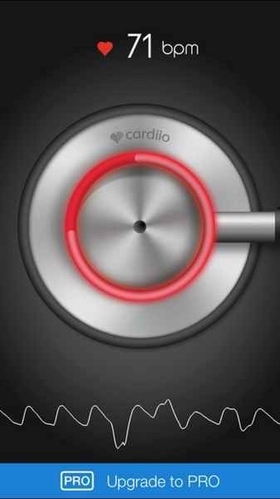 Cardiio, Runtastic and My Baby's Beat will pay a total of $30,000 in penalties, and have agreed to change their marketing materials and privacy policies as part of the settlement. The apps claimed to measure vital signs and other key health indicators but were not backed up by scientific testing, and did not make it clear to users that the apps are not medical devices and are not approved by the U.S. Food and Drug Administration, according to a press release. The settlements come after a year-long investigation of mobile health apps by New York's Office of Attorney General Eric Schneiderman. His office is concerned about several popular apps. Cambridge, Mass.-based Cardiio and Austria-based Runtastic had previously claimed that their apps could accurately measure heart rate after vigorous exercise simply by using the iPhone's camera and sensors, but failed to test their apps for that purpose, according to the attorney general. Cardiio, which is backed by venture fund Rock Health, is also accused of having wrongly implied that its app was endorsed by the Massachusetts Institute of Technology. Matis, the Israel-based developer of My Baby's Beat, claimed its app could turn any smartphone into a fetal heart monitor, despite the fact that the app has never been approved by the FDA. It's also never been tested in comparison to a fetal heart monitor, fetal Doppler or any other device scientifically proven to amplify the sound of a fetal heartbeat, the attorney general said. As a part of their settlements, the three companies agreed to provide additional information about the testing of their apps, change their advertisements and marketing, and provide clear disclaimers that their apps are not medical devices and are not approved by the FDA. They also agreed to disclose to users that they collect and share information that may be personally identifying, and require users to read and consent to their privacy policies. Matis said in a statement that My Baby's Beat "has always and repeatedly been labeled as a non-medical app," and has never been prevented as a tool to measure baby health indicators such as beats per minute. The company says the app's description makes it clear that it is not a replacement for a medical device, and requires that users acknowledge that they've read those warnings. "Matis is proud that My Baby's Beat now meets the very high standards of the New York Attorney General Health Bureau," the company said. Cardiio, Runtastic and Rock Health did not respond to requests for comment.